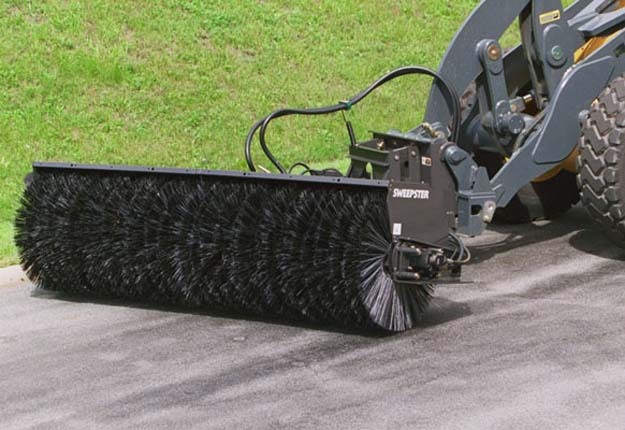 Sweepster’s Skid Steer Loader hydraulic drive collection sweeper by Paladin, handles light and heavy-duty clean-up in construction, municipal and industrial applications. 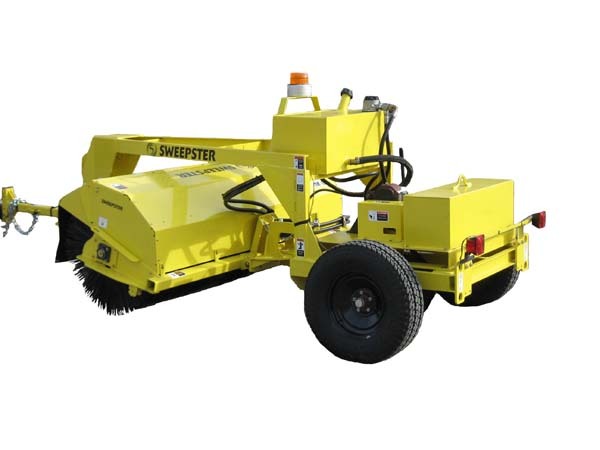 Features include a heavy duty cutting edge standard in all models for durability. Enhanced front bumper guard for better protection during operation. 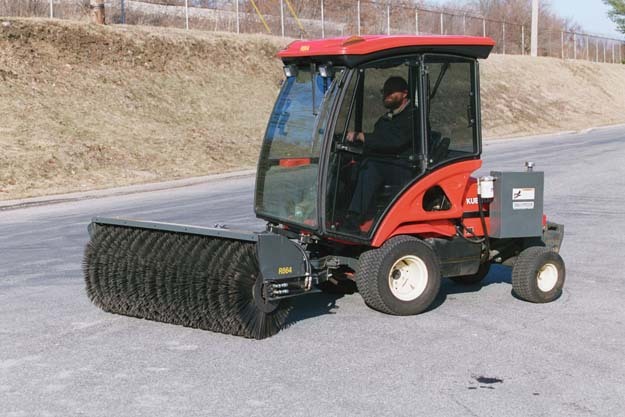 Narrower overall attachment width for improved mobility and cleanup in confined areas.